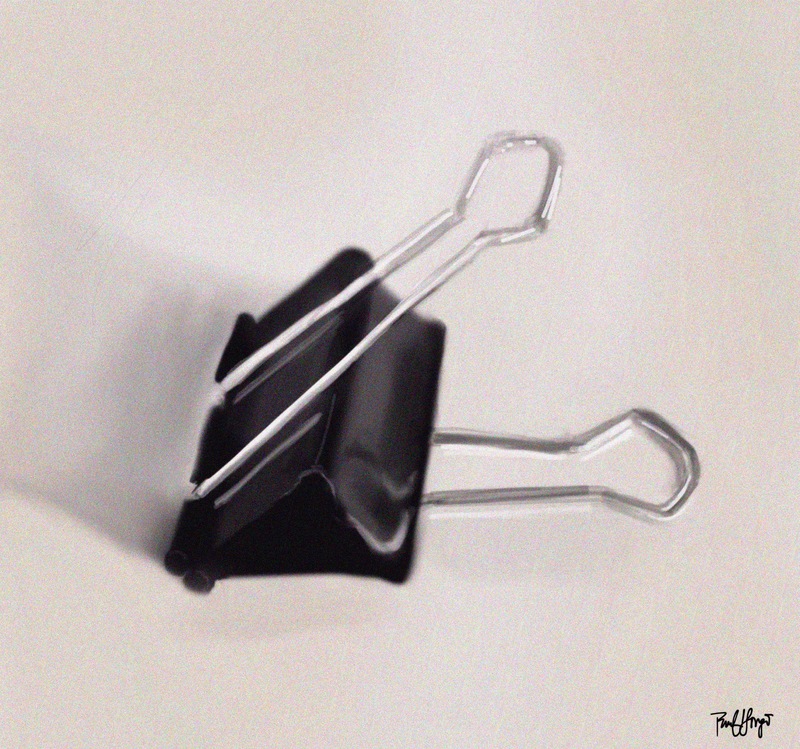 Technical: My own iPhone photo of the binder clip on white kitchen table imported into Procreate iPad drawing app and used as a reference photo in a side by side, free hand drawing, and then exported to crop out reference photo and re-imported into Procreate for final, minor tweakographics. This entry was posted in Digital Artwork, iPad Art, Sketches and tagged binder clip, office supplies, organizers, Procreate by portfoliolongo.com. Bookmark the permalink.